Garnet, the stone of vitality and passion, comes in virtual spectrum of colors including red, pink, green, yellow and orange to name a few. This birthstone for January is a very versatile gemstone that has been used since the Bronze Age. Garnet derived its name from Latin word granatus meaning little grain. Its red color resembles to pomegranate seeds. More generally, garnet is a family of minerals with similar physical and chemical properties. All the garnet species have silicate mineral common in them with divalent and trivalent cations. Mostly the divalent cations are calcium, magnesium, ferrous iron or manganese and trivalent are aluminum, ferric iron, chromium or rarely titanium. These ions are responsible for the color in garnet. The main six species of garnet are pyrope, almandine, spessartine, uvarovite, grossular and andradite. They are found in translucent to transparent forms with resinous luster. The best quality garnet used in jewelry is pyrope which is a magnesium aluminum silicate derivative of garnet family. It ranges from red to almost black in color. Garnet looks beautiful in rings, earrings, pendants and necklaces. As the stone has a hardness of 6.5 to 7.5 on Mohs scale so is good for fine jewelry. Garnet also considered having healing powers. It is good for treating blood deficiency diseases, arthritis and rheumatism. It is said to balance energy level and symbolizes faith, courage, trust, constancy and fidelity. Garnet jewelry makes a great present not only for January born but for everyone who loves the passion of red with mystical charm and grace. 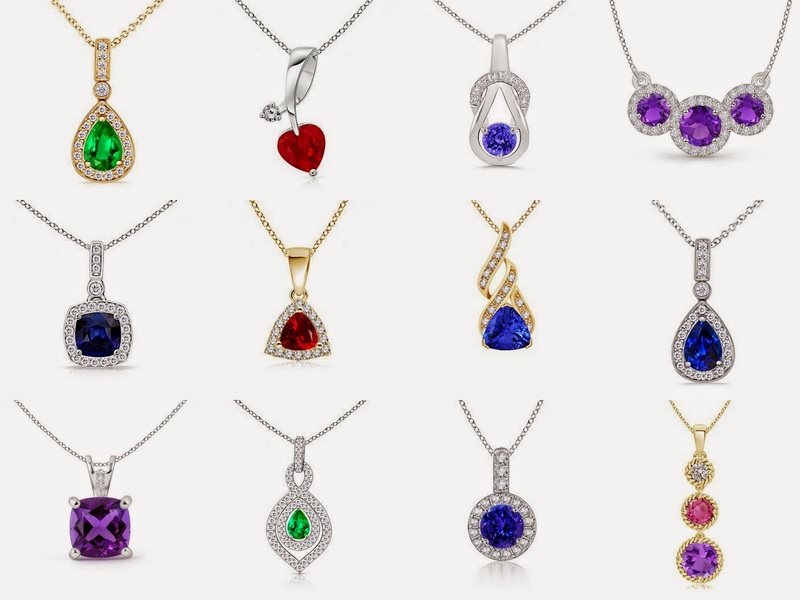 If you like to don fiery red looks or thinking to surprise your loved one with fine jewelry then choose garnet gemstone jewelry and enjoy the sheer elegance it will lend.